Local favorites like Milk Sugar Love, modcup, Third and Vine, and more were featured in an article from Epoch Times about food artisans in Jersey City. Sam a.m. is having a special supper club this Tuesday and they've teamed up with Cool Vines in Jersey City to provide discounted pairing suggestions. Cocoa Bakery is selling cream puffs for your New Year celebration, so get them while you can. 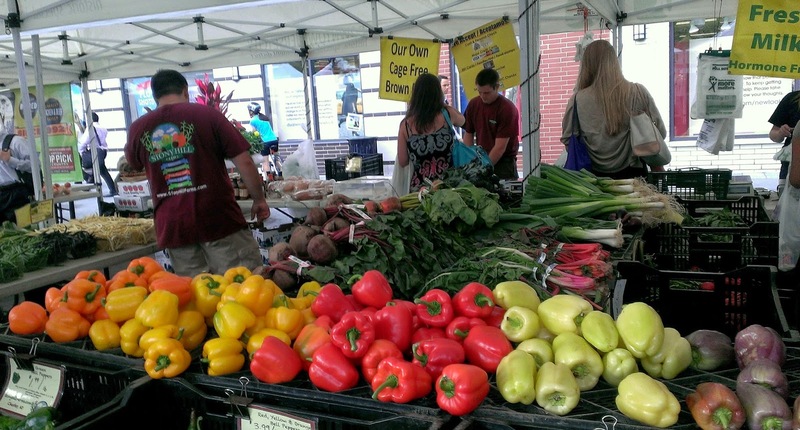 This Monday is the last Farmers' Market of the season at Grove Street. 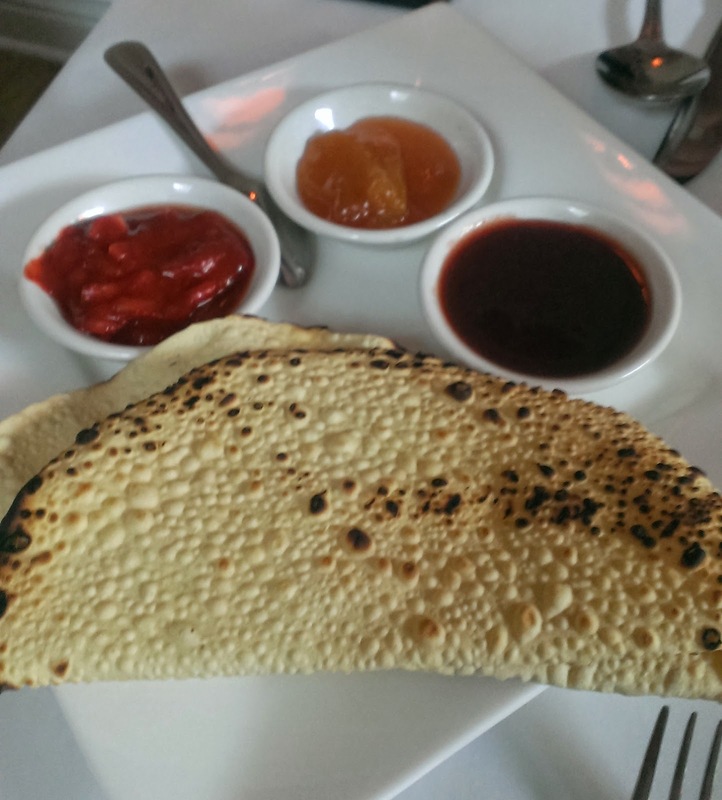 Check out this review of Satis Bistro from Jersey Bites. Thirsty Quaker is extending their hours for the holidays. If you missed it, here's a great article from website getawaymavens.com exploring Jersey City, including modcup, Razza, The Kitchen at Grove Station, and more. Smith & Chang General Store has remodeled and is now part cafe, selling coffee and pastries. New Indian restaurant Vaibhav has taken over the former Casa Dante space. Run by the same owners as Sapthagiri, it officially opened last Thursday. Barcade will be closed tomorrow, 12/15, from 6:30pm- 11pm for a private event. The Kitchen at Grove Station will now offer Sunday Brunch until 3pm, but will be closed for dinner. Iron Monkey rescheduled the cocktail class from last week to Thursday, Dec. 18th. The Thirsty Quaker has put together a gift guide, handy for the beer, wine, or even baking enthusiast in your life. modcup is now offering pre-weighed and individually packed pour over packs. The Thirsty Quaker is holding a Hannukah Beer Tasting this Friday beginning at 6pm. After a very successful opening party last week to say hello to the Jersey City community, Porta is making their official debut! Unfortunately, Ahri's Kitchen, originally slated to open tomorrow, has hit a lot of red tape and their opening will be delayed until late winter/early spring. Sweet Jumbles, local marshmallow maker, is running a sale on Marshmallow of the Month Club memberships through the end of tomorrow. Check out this interview with Oh Honey from Chicpea. Wondering what to do and where to eat before, during, and after Thanksgiving? Here's a list of what's happening in Jersey City. La Conguita is already offering turkey specials and will be open from 8am-5pm on Thursday and 8am-10pm on Friday. Taphaus will have $5 Jameson and Fireball shots and $1 off all drinks, beer, and wine on Wednesday to celebrate Thanksgiving Eve. Pint will be open until 2am on Wednesday and open from 5pm to 2am on Thursday in case you need a late night to recover from a day with the family. Me Casa will be open on Thursday by reservation only and will be serving a special turkey stew. ....and they'll be celebrating with free pizza! If you missed them, there were two articles that came out over the weekend talking about the growth in Jersey City, one from The Daily Meal specifically about it becoming a dining destination and the other from the NY Times showing the overall culture changes in progress. Talde JC and Carrino Provisions are holding Open Calls on Monday and Tuesday for positions in their soon-to-open restaurants. Get Your Thanksgiving Orders In! The weekend is here! AND it's the weekend before Thanksgiving so here's a list of holiday specials around Jersey City. Choc-O-Pain is offering 10% off all holiday bread, tart, and pie orders (they have gluten-free desserts too) if you order before 7pm on Sunday. Milk Sugar Love has a special Thanksgiving dessert menu available that you can order from online. GP's has a new app that will give you 20% off when you order online. A Walk Down Erie St. It seems like new restaurants are being announced by the day in Jersey City and Erie Street in particular is the recipient of a lot of new development. Beginning on Erie and Newark, I took a walk going north towards Hamilton Park and saw a space in development every couple of blocks. While most of the spaces being worked on had papered-up windows, progress is definitely being made. First up, of course, is the much-anticipated and long-awaited Talde and Carrino Provisions. They've been estimating an opening sometime in November which seems possible, but not guaranteed. But looking around, the space has definitely come a long way. All the construction areas blocking the sidewalk are gone and most of the renovation work seems to be done. While the windows are covered up now, on a previous walk-by, there was furniture and shelving in place and signs were up. Down the block, in what used to be Balance Hair Salon, there will be a new coffeehouse called 9 Bar Cafe and per WiredJC, they're hoping to be open in approximately 5 weeks, around mid-December. I tried googling the name and didn't come up with much besides a coffeehouse in London, so that's still a bit of mystery. 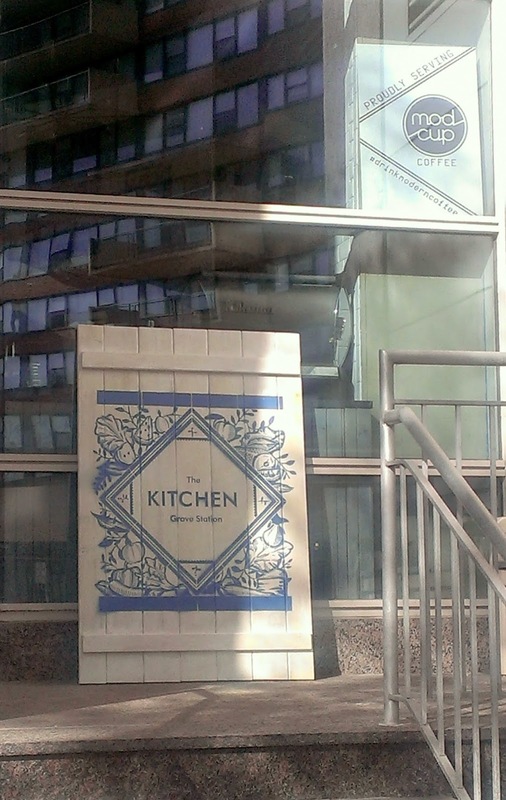 The Kitchen at Grove Station Opens Today! Today is opening day for The Kitchen at Grove Station, a new restaurant opening at 299 Marin Boulevard on the bottom floor of the International Financial Tower at Pershing Plaza. The restaurant, which took over a lunch counter, is a mix of a cafe and an upscale, but relaxed, New American restaurant that will be open 7 days a week for breakfast, lunch, and dinner. Congratulations to Talde for being included on FoodRepublic's list of 20 Major Restaurant Openings this winter. Satis Bistro is celebrating their anniversary by putting together a "Greatest Hits" menu and help by voting for your favorite dishes. Battello is hosting a special event next Tuesday, Nov. 18th that will feature dinner and a book signing with Enrica Rocca. Reservations are required. 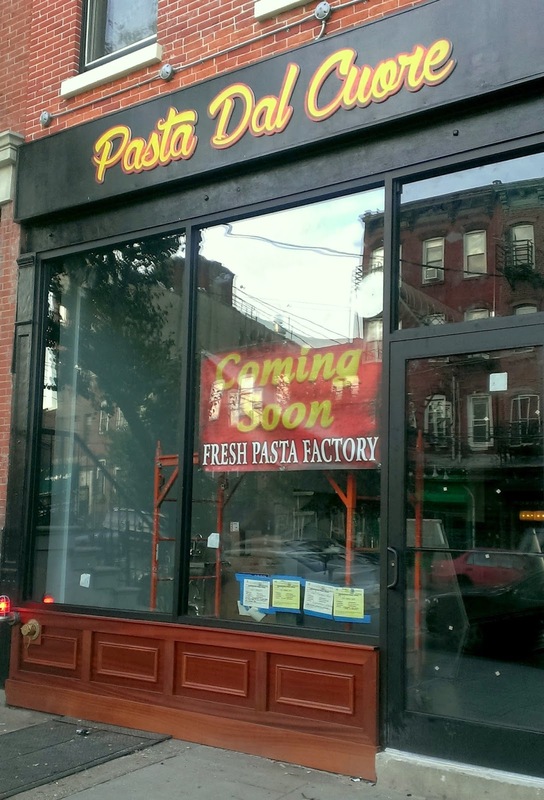 After dealing with some unexpected inspection and permit delays, I'm happy to announce that Pasta Dal Cuore, 527 Jersey Avenue, is opening (EDIT) tomorrow (Wednesday, 11/4) at 10 a.m., selling fresh pastas and daily specials like vegetarian, meat, and cheese raviolis and gnocchi. Elena Cartagena, the owner of Pasta Dal Cuore, is a graduate from the FCI Italian program where she first began to form the idea of her own specialty pasta shop. After working around New York (including a stint at Eataly) and then traveling through Italy for six months to gain inspiration and knowledge, Elena decided to make that idea a reality by opening up a shop in Jersey City where she grew up and has long resided. Congratulations to Razza on being named the 5th best pizzeria in the state. Check out this profile of Taphaus, the new beer garden near Newport, in the Village Voice. Congratulations to Maritime Parc and Thirty Acres for being included on this list from the Star-Ledger of New Jersey's Top Power Restaurants. Battello is looking for line cooks. Park & Sixth recently signed a new lease and will be moving from their current location to take over the space previously occupied by The Merchant. The plan is to open in December. It's Halloween Weekend in Jersey City and there is a lot going on! The Iron Monkey is getting into the spirit with $6.66 drink specials tonight and the Samhain Soiree Costume Party tomorrow. There will be drink specials, free candy, and prizes. On Friday between 3:30pm-7:00pm, hang out on Newark Ave for the City of Jersey City's Family Halloween Bash. The 2nd Annual Halloween Parade will kick off at Gymboree at 3:30 and there will be festivities like a petting zoo, "Frozen" themed games, pony rides, S'mores from Bambino Chef and food will be available to purchase from Tea NJ, WORD, Roman Nose & more. After the Family Halloween Bash, Newark Avenue will continue the Halloween fun with the Newark Ave. Pedestrian Plaza Closing Party which will have food, cider, and beer from all over town, music from DJ Pastiche and dancing. This will be the last night of having Newark Ave closed off so make sure to enjoy it! Amelia's Bistro is offering a new weekday lunch special: 2 for 1 lunches from 11am-3pm. The Big Straw is Opening! Today is opening day for the The Big Straw! After several months of building out their space and vending at various Grove St. events, The Big Straw is now officially open for business at 276 1st Street. They will be open from 10am-9pm, Mon-Sat, and 10am-7pm on Sundays. I'm sorry to report that after twelve years in Jersey City, The Merchant will be closing this Saturday, Nov. 1st. Stop by this week to say goodbye. Congratulations to Nu Bar on their mention in The Jersey Journal. Next weekend will be Thirty Acres' last brunch service as they plan some new developments. You can now find Oh Honey products at Pig & Pepper and Madame Claude Wine. E. Tittlemouse & Co. is getting into the Halloween spirit early with an All Hallow's Masquerade Soiree tonight, Oct. 24th from 6pm-9pm and Sugar Supply JC is catering. Also tonight, 9th and Coles will be hosting the official pre-party for Jersey City Pride this weekend. They'll have music, food, drinks and dancing from 5pm on. The Pride festival itself will be held on Saturday in front of City Hall from noon-6pm and there will be live music, DJ's, and specialty food vendors all day. The fun continues after the festival with after-parties at both Port-O Lounge and Brightside Tavern. For more information on all the events, check out the Pride FB page. ME Casa, one of my favorite restaurants in Jersey City, started running a food truck earlier this year: ME Casa Express. While the truck has been up and running for several months, they recently started setting up all their own social media accounts, separate from the restaurant, to make it easier to follow them. 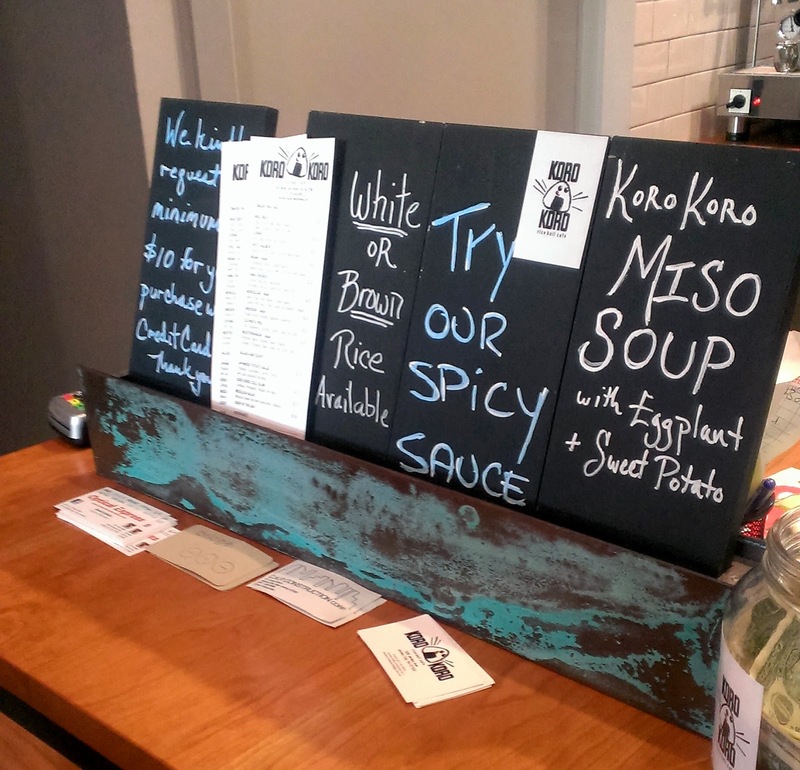 Congratulations to Koro Koro on their Grand Opening! There are only a few tickets left to the Jersey Girls Food Tours Fall Chef Showcase so if you want to go, buy your tickets now! Tomorrow night, join Roman Nose as they celebrate their second birthday and help raise funds for Eighty Mag's second issue with a special cocktail. There will be free apertivo snacks from 7-9pm and a DJ. Congratulations to Battello on their write-up in the NY Times. Taqueria Downtown recently opened another outpost on Grove Street that will focus on catering, take-out, and delivery orders. Taqueria is one of the most popular spots in Jersey City, but after so long of being eat-in/take-out only, I was curious to see how they'd hold up for delivery. If you were in downtown Jersey City yesterday afternoon/evening, you probably noticed that Newark Avenue from the Grove St. PATH station to Barrow Street was blocked off and there were a lot of trucks on Columbus, blocking traffic and going back and forth. Why? Well, it appears that construction workers on the empty lot next to the new Hard Grove location on Newark Ave, dug too deep and ended up damaging the foundation beneath the building, destabilizing the structure. Workers noticed the facade seemed to be tilting and alerted officials who deemed the building in danger of collapsing and evacuated 8 buildings in the area. 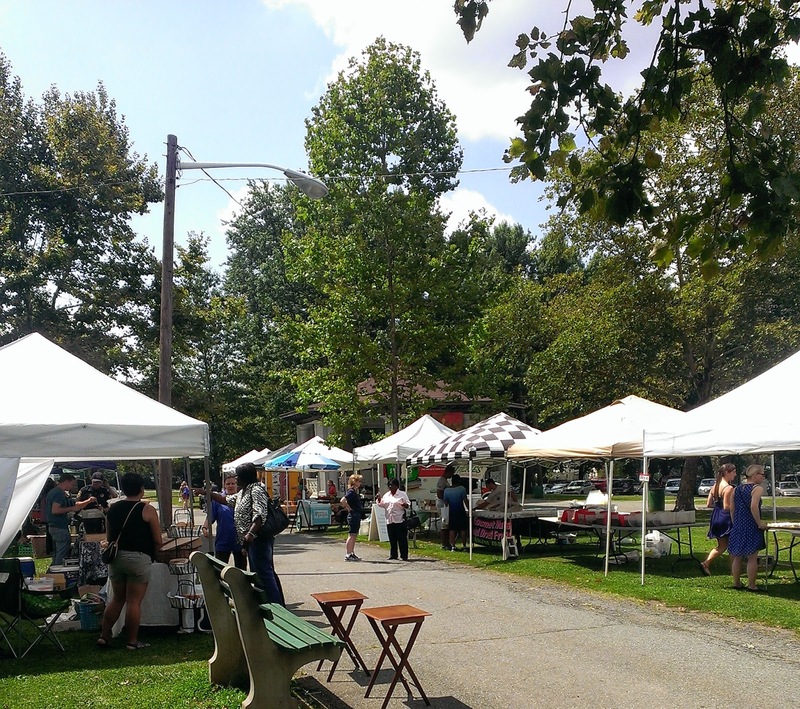 The Farmers' Market at Grove Street will be up and running tomorrow even though it's a holiday. The Riverview Farmers' Market is extending their season by three weeks and will now have their final market day on Sunday, November 23rd. Sam a.m. is debuting a new junior supper club this Tuesday, Oct. 14th. It will be $25 for three courses. 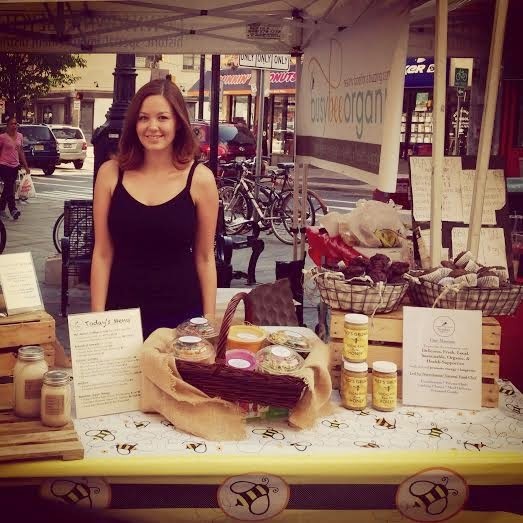 Labels: events, farmers markets in jersey city, indian food, Jersey Girls Food Tours, sam a.m. 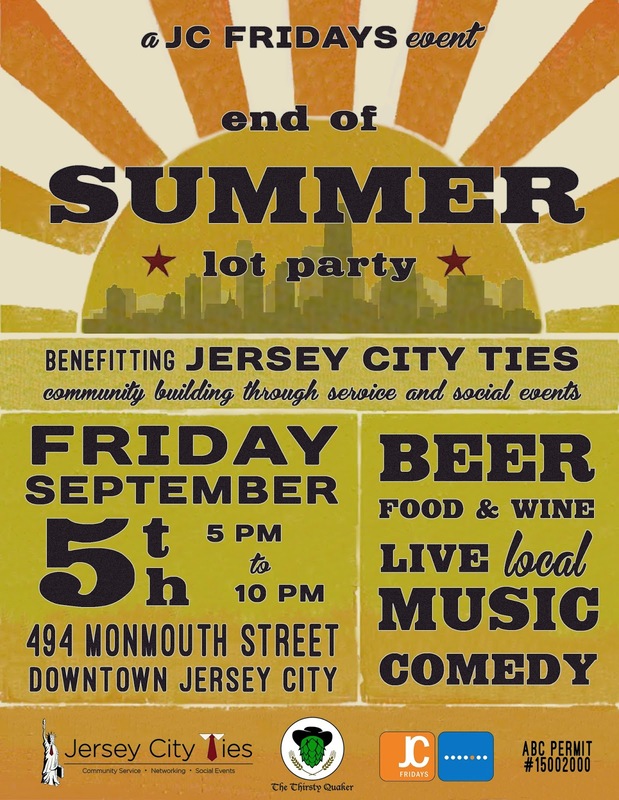 This weekend, there's plenty to check out in Jersey City and a lot of it involves drinking. Friday night, there's a fundraiser for the Jersey City Firefighters Pipes and Drums Band at HopsScotch. Tonight is the second night at new beer garden Taphaus, and they'll be open until 10 pm and continuing with 30% off. They will also be open until 10pm on Saturday. Tomorrow night, the Jersey City Firefighters Pipes and Drums Band is hosting a fundraiser at HopsScotch. After spending the late spring and most of the summer building out their space, Taphaus Biergarten has announced they will hold their soft opening tonight, beginning at 5pm. 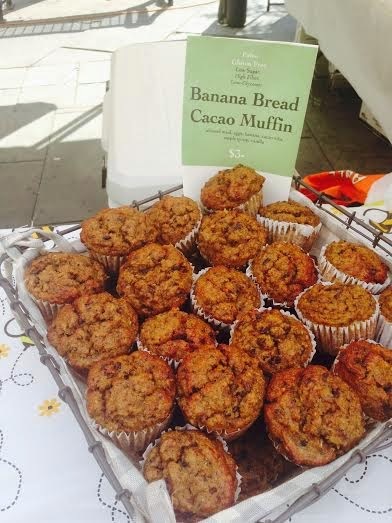 Congratulations to Cocoa Bakery on their one year anniversary today! After facing quite a bit of adversity (Sandy-related damage amongst other things), they opened up one year ago and have been going non-stop since. In celebration, they are offering a free treat to anyone who stops by today so go wish them a happy anniversary and enjoy! But if you were hoping to stop by for a quick breakfast on your way to work, you're in luck! One of the few Indian restaurants located in Downtown Jersey City, Blue Lotus opened earlier this year near Hamilton Park on Erie Street between 7th and 8th in a space that has seen a lot of restaurant turnover. Luckily, Blue Lotus seems to be here to stay, offering lunch, dinner, take-out and delivery. I went for dinner on a weekday and while it was pretty quiet early on, the restaurant soon filled up, stopping short of being crowded, but never got loud or chaotic. Service was attentive and very eager to please, but not overbearing. The menu is separated into categories with several options to choose from under each category and you'll find both classic dishes and some original options. When we sat down, we were given poppadom but instead of the two chutneys (usually a tamarind and a tomato/onion) that I usually see, we were given three - one was a very good version of the sweet, fruity tamarind, then there was something that tasted almost like orange marmalade that I don't personally recommend, and a very smooth tomato chutney that was spicier than I typically taste but also very good. We also ordered mango lassis ($4) which were good, but not especially memorable, and vegetable samosas ($5) which were excellent. 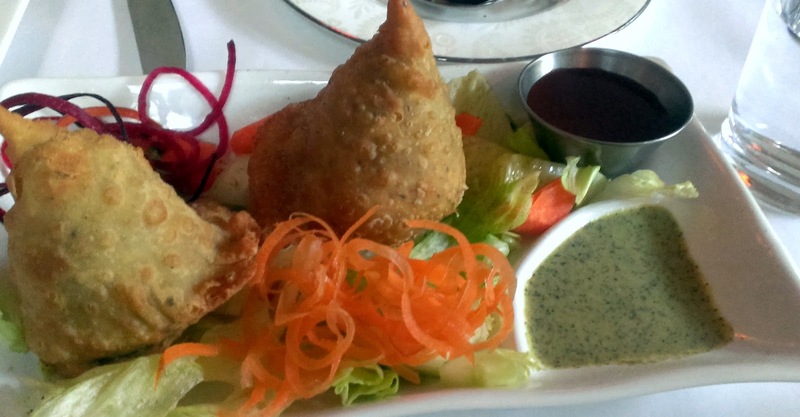 They were perfectly fried - nice and crispy on the outside with a tender and well-spiced potato and pea filling, accompanied by the tamarind chutney and a cilantro sauce. The cilantro was excellent, herby and slightly spicy which paired well with the potato and I recommend using that versus the tamarind for this dish. City Council Meetings on Farmers' Markets in Jersey City. This Wednesday, Oct. 8th, there is going to be a City Council Meeting regarding the Farmers' Markets around Jersey City. 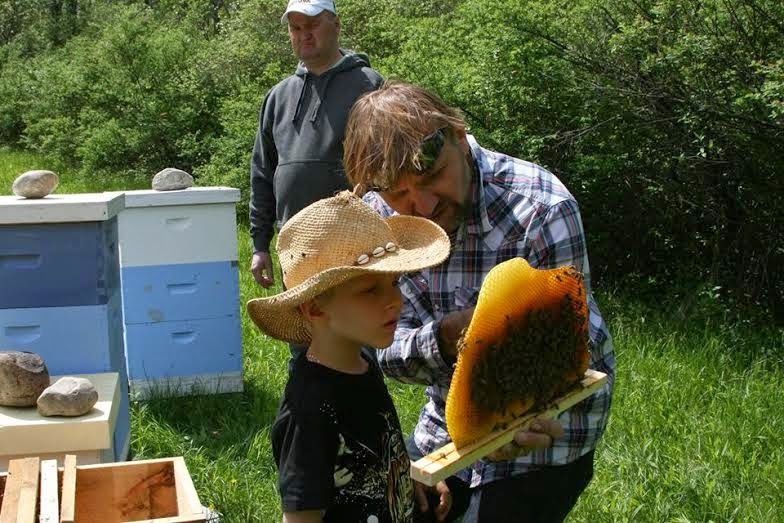 The meeting is open to the public and a number of new and/or revised ordinances regarding the hours, locations, and procedures of the markets are up for discussion. The good news is that most of the ordinances seem to be in favor of streamlining and making the application process easier for market managers, of expanding the locations of where the markets' can be held, and creating policies regarding vendors, services, etc. that will be the same across the board for all the markets, making sure that everyone has the same access. Today is the last day to sign up for the Milk Sugar Love pint club. If you get a friend to sign up, you receive a free pint of Designated Driver, a red wine ice cream that was created in collaboration with Madame Claude Wines. This Tuesday, 10/7, Roman Nose is having a wine tasting of 6 wines from the Veneto Region for $30 to be served with complimentary bruschetta. 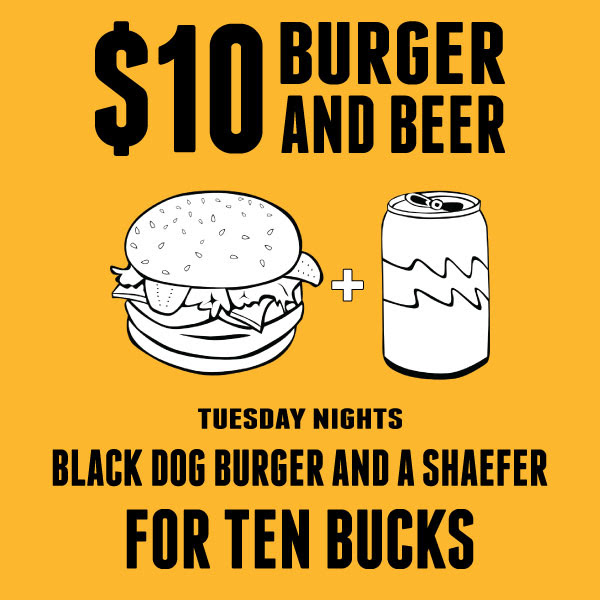 It will run from 5pm-10pm and no reservations are necessary. 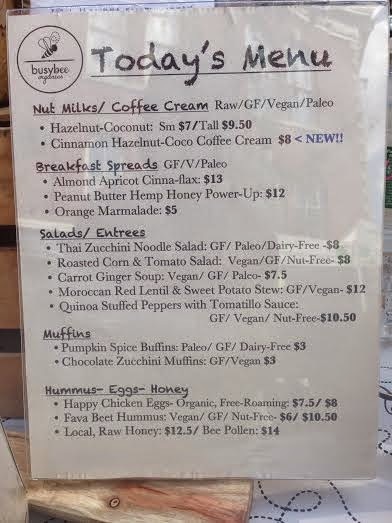 Sam a.m. started offering a new fall menu this weekend. Tonight is the night for Liberty House's Laird's Applejack Cocktail Class. It begins at 7pm and runs until 9pm. It's $40pp and includes appetizers. Call 201.395.0300 to reserve your spot. Labels: BYOB, class, cocktails, events, fall, Left Bank Burger Bar, sam a.m.
Congratulations to Ahri's Kitchen who reached their kickstarter goal! There's still time to add your support. Taphaus, the new beer garden opening in Newport, has been busy with final touches and they're aiming for an opening day of October 6th. Krispy Pizza has officially opened in Jersey City. The weekend kicks off with the start of Oktoberfest at Zeppelin Hall. 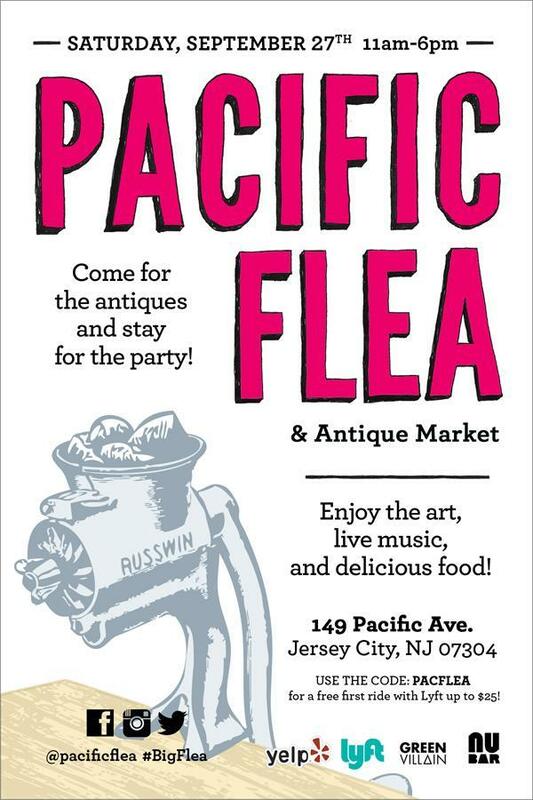 Pacific Flea is having one of their Big Flea events this Saturday with live music, art, and food by Nu Bar. Summer has ended, temperatures have dropped and fall has officially begun....which means it's time to join in with Zeppelin Hall as they begin their month-long 6th Annual Oktoberfest celebration. Hamilton Park BBQ This Saturday! This Saturday is the 5th Annual Hamilton Park BBQ Festival! Organized by SILVERMAN, the BBQ Festival benefits the Hamilton Park Conservancy and always draws large crowds. It runs from 12pm-8pm at Hamilton Square. The festival will have live music all day, family-friendly activities like face-painting & a bouncy castle, and even a mechanical bull. Yesterday, Milk Sugar Love announced they will be offering membership to their new Pint Club, celebrating fall and winter. Park & Sixth is launching a new mid-week special! The ME Casa Express Truck has posted a new menu. This Thursday, join Satis Bistro for their Oktoberfest celebration, a $45 4 course menu with beer pairings. If you want to get the insider scoop, specials and coupons from Left Bank Burger Bar, text BURGERBATTLE to 22828 to join their mailing list. 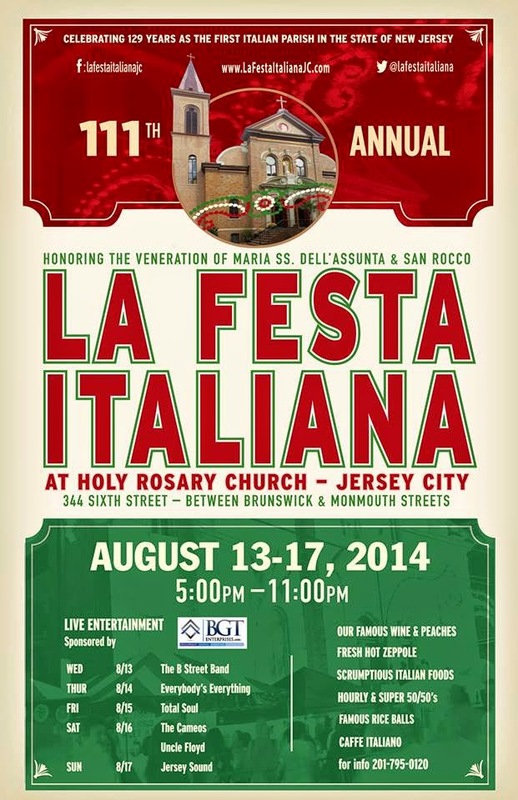 There's a lot going on this weekend, Jersey City! Get ready for fall with Pint's Pumpkin Oktoberfest tonight. Tomorrow, there's the All About Downtown Street Fair which will be full of fun, food, and shopping. Saturday is also the day for Washington Park Live, an arts and music festival from 10am-6pm. There's a ton of bands, art installations, a beer garden, food & drinks provided by ModCup, Lizzmonade, El Chilango, Orange and Olive Caterers and more. The All About Downtown Street Fair Returns for 2014! This Saturday is the HDSID All About Downtown Street Fair with live music, family-friendly activities, and over 125 local vendors for you to check out, offering everything from jewelry to furniture to lots and lots of food. Special Alert - National Cheeseburger Day! Today is National Cheeseburger Day and Left Bank Burger Bar is celebrating with $5 Bankrupt burgers all day! If you're looking for some places to drink over the next few days, there are a couple of events happening in Jersey City that could probably help you with that. Iron Monkey is holding the Boulevard Brewing Company Launch Party tonight, beginning at 6pm. There will be a glassware giveaway and an autographed poster. Over the past year, there's been a lot of construction going on in Downtown Jersey City as more and more restaurants move in. A couple have opened up, but here's an update on some of the ones we're still waiting for. Raval - Advertised as an authentic Spanish Tapas Bar & Lounge, Raval is taking over the former Synergy Gym space on Newark Avenue. They don't have a set opening date yet, but are in the midst of construction and hope to open by mid-December. Porta - The opening of Porta on Newark Avenue in Jersey City has been eagerly anticipated for quite some time. They've already got a very popular location in Asbury Park and although Jersey City has a pretty solid pizza scene, I think this will be an excellent addition, especially with things like their vegan pizza and rooftop bar. 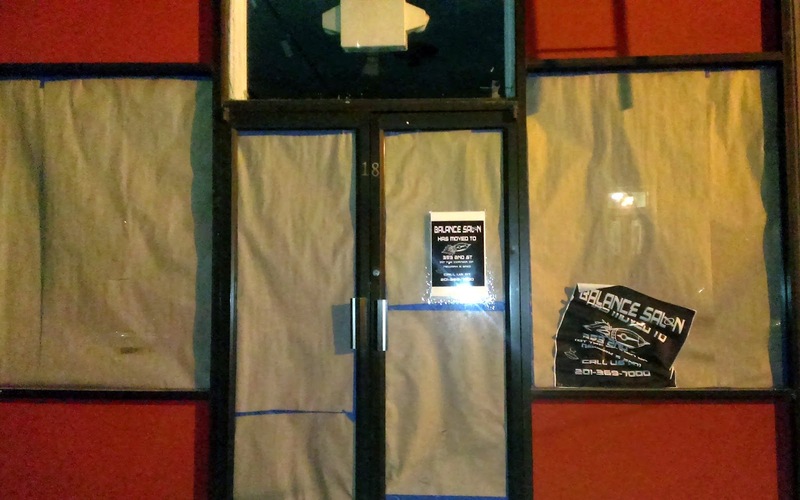 After a few delays, Porta is now hoping to open up in October. Ahri's Kitchen, the Korean restaurant coming to Hamilton Park, has reached over 50% of their kickstarter. They also updated the menu on their site so you can see what they'll be offering. Tres Cuartos, formerly known as Laguna Lounge, was featured on Spike TV's Bar Rescue. Dark Side of the Moo has started carrying frozen to go packs of meat at their trucks. The Burger Battle at Zeppelin Hall continues this weekend and will run all through next week. Join JC Families this weekend at Riverview Park from 10am-5pm for the 28th Annual Park Fest & Flea Market. There will be lots of vendors, kid-friendly activities, free zumba, food, live music & more. Busy Week in Jersey City! Burger Battle at Zeppelin Hall, beginning Thursday. A new sign went up over the former Europa Meat Market on Jersey Avenue. The store has been sitting empty for a long time ago, but a couple months ago, permits went up and work started. There's been a bit of clean-up, some equipment removal and some equipment installation, but not a lot of information has been forthcoming. Congratulations to The Dark Side of the Moo and Carmella's who both made the Best of Munchmobile 2014 list. Join Iron Monkey as they celebrate the launch of Lexington Brewing and Distilling this Tuesday at 7 pm. Congratulations to Talde JC and Carrino Provisions for making the NY Times' Fall Newcomers Tip Sheet. Tonight marks the return of JC Fridays and this time, Jersey City Ties and Thirsty Quaker are joining forces to throw an End of Summer Lot Party with live music, comedy, beer, and food! The Brunswick Street Block Party will be running from 6-11pm on Brunswick between 1st & 3rd Streets. 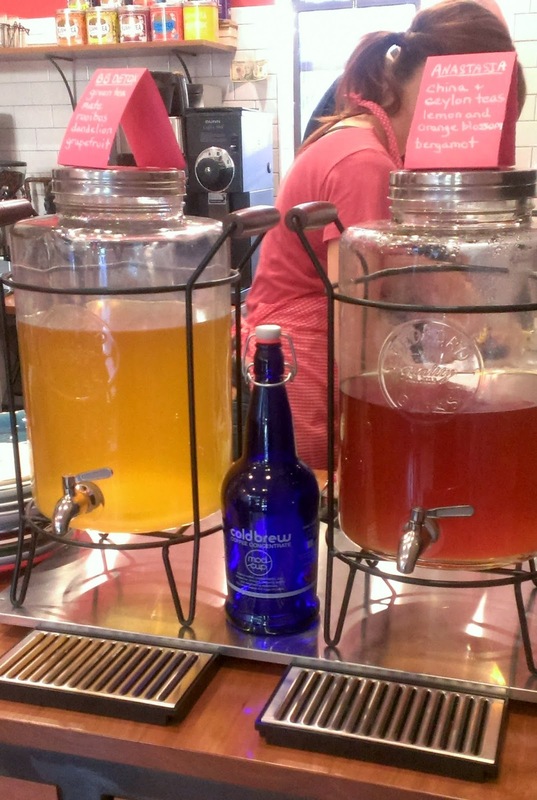 Live music, the Another Man's Treasure showroom, and cold brew cocktails from Mod Cup! Welcome to Meet the Vendor, a series on Jersey City Eats profiling different vendors from all the Farmers' Markets around Jersey City. We have a wonderful and constantly growing market scene in Jersey City with unique and dedicated vendors. Today's vendor is Hoboken Farms who can be found at various markets throughout Jersey City, New Jersey, and New York.This profile will be a little different because I was able to actually speak with Brad Finkel, owner of Hoboken Farms, and we had a great conversation about the history and growth of Farmers' Markets in Jersey City and his company's story. Thanks for participating, Brad! Since 1992, Hoboken Farms has offered an expertly curated selection of locally baked artisan breads, fresh mozzarella cheese, pasta, and organic, grass fed meats. Their Big Red Marinara Sauce is sold at Whole Foods Market, Bed Bath & Beyond, and was named Best Marinara Sauce in the country by the Wall Street Journal and took 2nd place in a taste test run by the Star-Ledger this year. In 2011, Hoboken Farms opened their first Awesome Sandwich Shop in Summit NJ. In 2012 the company formalized a partnership with Equinox Gyms and opened Hoboken Farms Juice Bars located inside their new Summit and Paramus facilities. 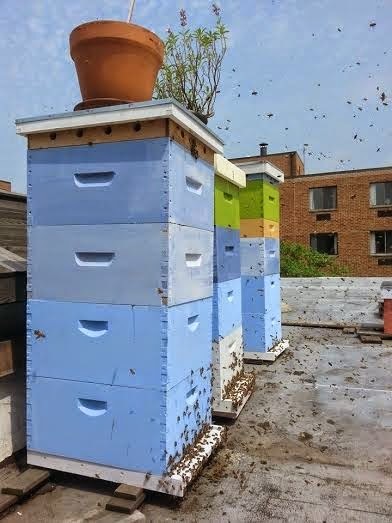 While orginally located in Hoboken, several storm-related problems over the past few years forced Hoboken Farms out of their location and almost caused them to close. Luckily, they were able to relocate to Clifton, but are looking for locations back in Hudson County. 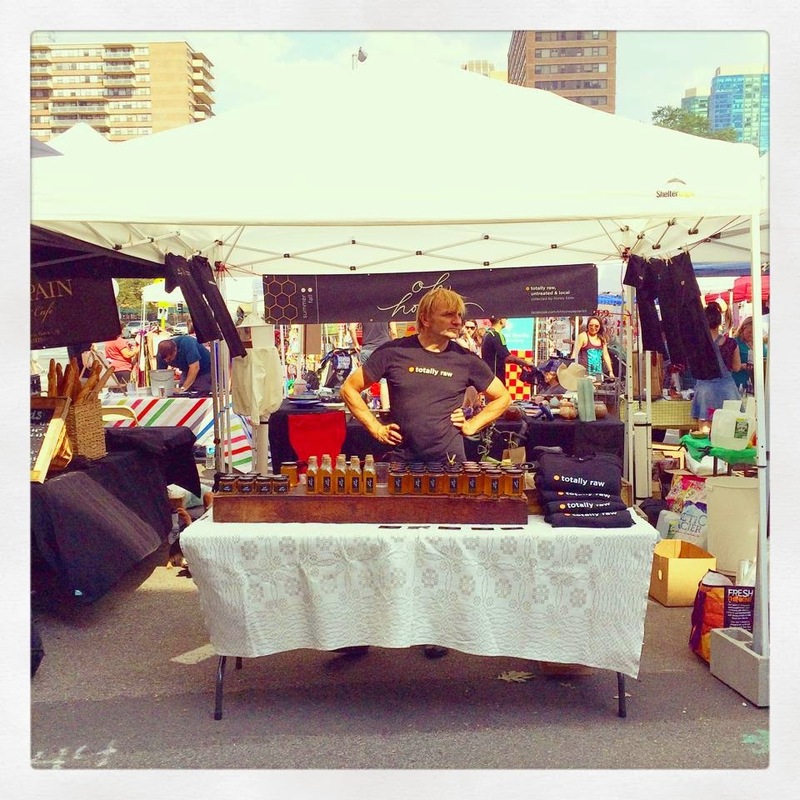 Hoboken Farms participates in 30 markets across New Jersey and New York. 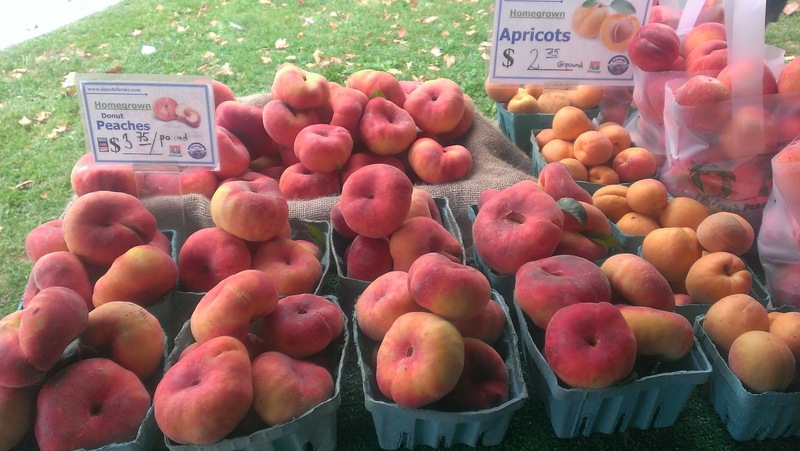 They are one of the original vendors at Hamilton Park and at Van Vorst, for 13 and 12 years respectively and have been at Grove Street since its inception. One of the major appeals, according to Brad, is that Jersey City not only wants to have big farmers' markets, they want to have great ones with great vendors and there's constant effort to make that happen. The first market they ever participated in was in Englewood in the 90s before farmers' markets were widespread. It was informal, just some friends putting together some tables and vending and the first week, Brad showed up with 50 lbs of mozzarella along with a friend who brought 50 baguettes and they sold out in an hour. The next week, they showed up with 100 lbs of mozzarella and 100 baguettes and they sold out in half hour, and it just hasn't stopped, "Our way of doing business [the markets] sort of became the cool thing to do." Ahri's Kitchen, a new casual Korean restaurant coming to Downtown Jersey City, launched a kickstarter yesterday. Andrew and Aena, the force behind Ahri's Kitchen, decided to open their restaurant after finding a lack of quality Korean food in the area. They've named it after their daughter and to keep it a true family effort, Aena's mother, who has restaurant experience in Korea and China, is coming from Korea to handle the kitchen so we should be able to count on authentic, homemade dishes. Currently, they're anticipating having items like kalbi, bulgogi, jeon, and Korean ramen on the menu and will be serving not only meat-oriented Korean dishes, but traditionally vegetarian and vegan ones as well. Congratulations to Sam a.m. on celebrating one year in business! Best wishes are also in order for Sam and Amanda who got married this weekend. 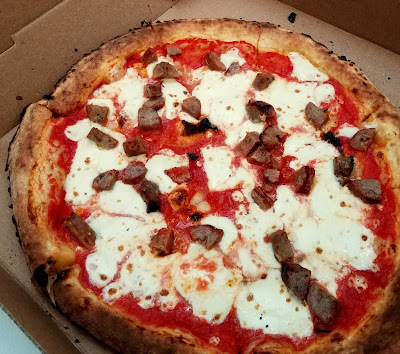 Rustique Pizza is celebrating their third anniversary this Tuesday and they'll be offering free plain slices from 12pm-5pm. Congratulations to Do You Tea, a frequent visitor at the 6th Borough Market, who signed a lease for a space in Jersey City Heights. They will be located at Summit Ave and Zabriskie along with Bloomsbury Square. Koro Koro got a nice mention in the Village Voice. Last week, Tea NJ announced they would be starting delivery service! They began their trial run on Saturday, and have now officially confirmed they will deliver within a 1.5 mile radius of the shop. 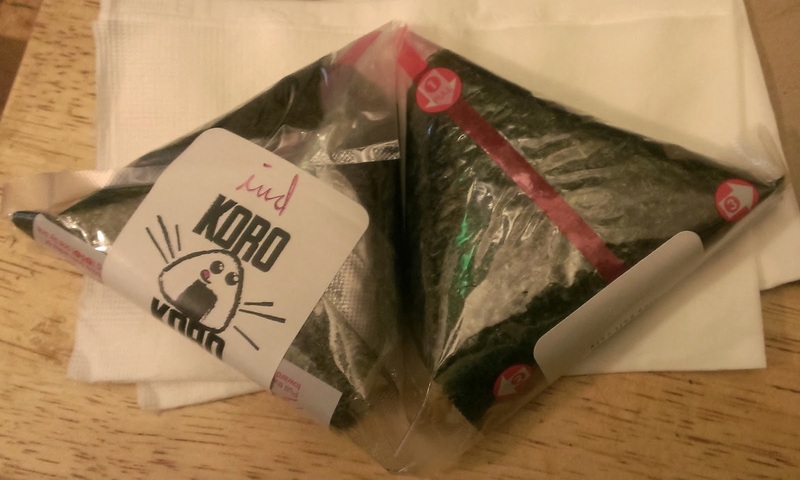 Koro Koro Rice Ball Cafe, the onigiri cafe coming to downtown Jersey City on Jersey Avenue, was officially funded by Kickstarter over the weekend and raised over $12,000! They also announced that they have completed construction, passed all their building inspections, and just have a few more Health Department and other bureaucratic matters to handle before they are ready to open! Of course, considering this is Jersey City and the process constantly seems to get dragged out, they haven't announced an official opening date and there may still be a bit of a wait, but it definitely seems to be progressing quickly. Beginning today, July 28th and running through Friday, August 8th, restaurants all over Hudson County will be participating in Hudson Restaurant Week, offering prix-fixe menus for lunch and dinner. Prices for lunch range from $13-$20 and dinners run from $23-$40 depending on the restaurant. Tomorrow kicks off Hudson Restaurant Week! Start making your reservations to take advantage of great deals in Jersey City and all around Hudson County. Thank you and congratulations to The Jersey City Project and all the vendors and workers involved on an incredible, fun, and delicious event yesterday, Project: Eats! Congratulations to Hoboken Farms, whose marinara sauce "Big Red Marinara" took second place in a tasting of jarred tomato sauces from across the state. You can find the sauce at the HDSID and Hamilton Park Farmers' Markets. 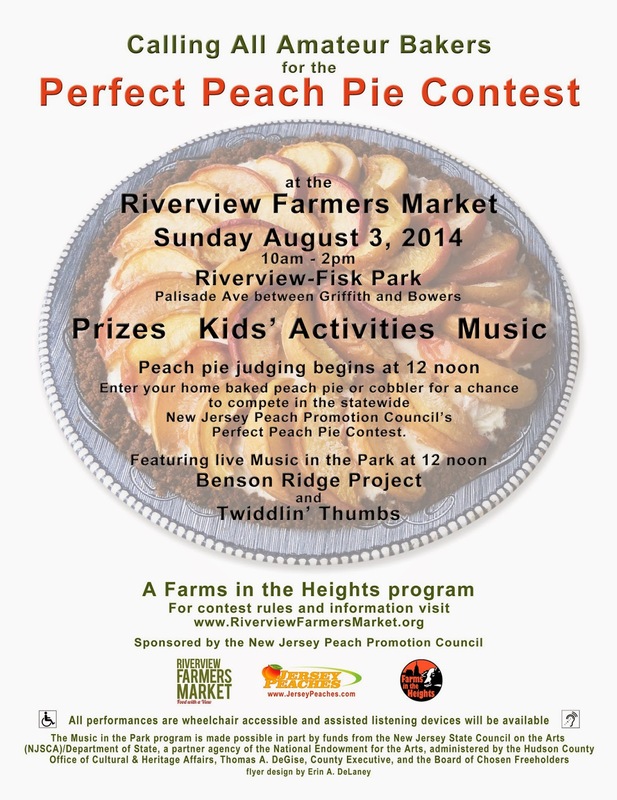 Next Sunday, August 3rd, the Riverview Farmers' Market will be participating in the state-wide Peach Pie contest! 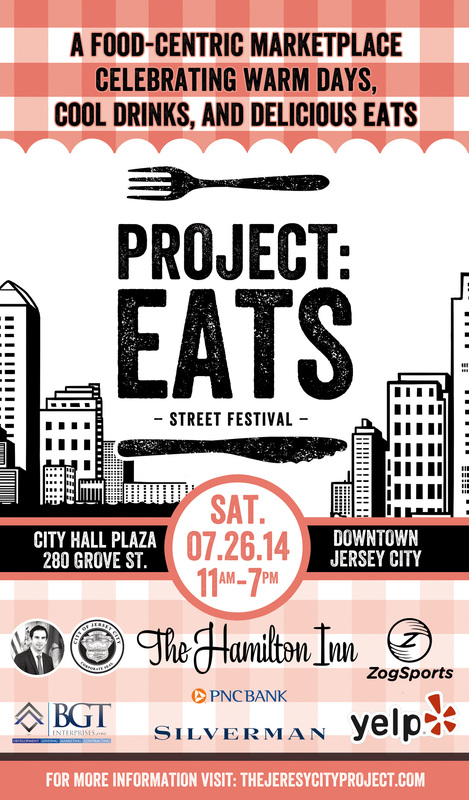 Although one of the major events of this weekend is JC Project:Eats, there's lots more happening in Jersey City! On Saturday, Zeppelin Hall is holding a Masskrugstemmen contest beginnging at 11pm. What is a Masskrugstemmen contest, you ask? Well, according to Zeppelin Hall, Masskrugstemmen literally means “beer-stein holding” and it has been a fixture in German Beer Gardens for generations. The rules are simple - Contestants must hold a 1-liter stein filled to the top with beer at arm’s length for as long as possible. The winner of the competition wins a free night in New York City and will compete in the National Championship at the Steuben Day Fest in Central Park on Saturday, September 20th where the first prize is an all expense paid trip to Oktoberfest in Munich, Germany. This Saturday, July 26th, The Jersey City Project is hosting what will probably be the best event ever (by my standards), Project: EATS! Ever since the announcement came out, I've been looking forward to this. Not just for the food, but because The Jersey City Project creates amazing, varied, and vibrant markets full of delicious food, interesting, unique crafts, home goods, and specially-crafted furniture. There's always something for everyone and this market promises to be no different. I hope you're ready to celebrate summer because tomorrow is the Annual Newport Beach Party and Food Festival! 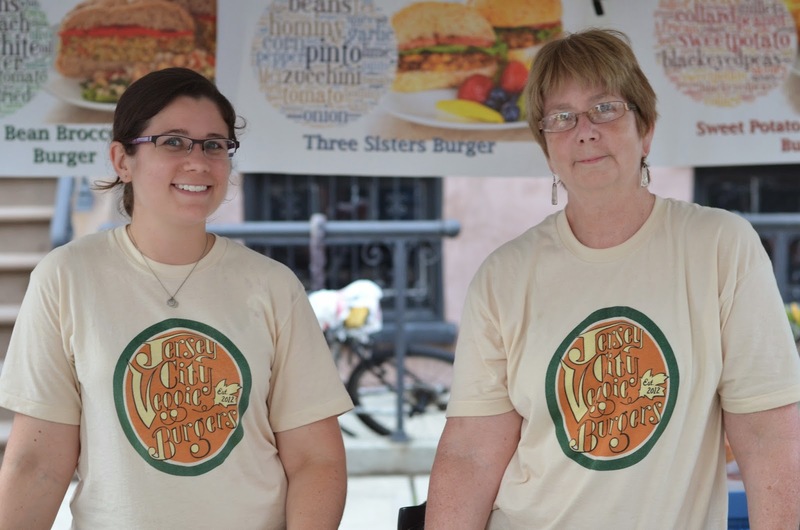 Congratulations to Jersey City Veggie Burgers on celebrating two years in business! Krispy Pizza, located throughout New York and New Jersey, is coming soon to the Paulus Hook area of Jersey City. Check out The Jersey City Life's post for more info. This weekend, the monthly 6th Borough Market returns to downtown Jersey City with vintage goods, crafts, family-friendly activities, and food! Amongst the many vendors, Thirsty Quaker, Jersey City Veggie Burgers, Milk Sugar Love, Choc O Pain, Dark Side of the Moo, Cholita Dessert Bar, and ModCup will all be there to help you keep up your strength as you shop. 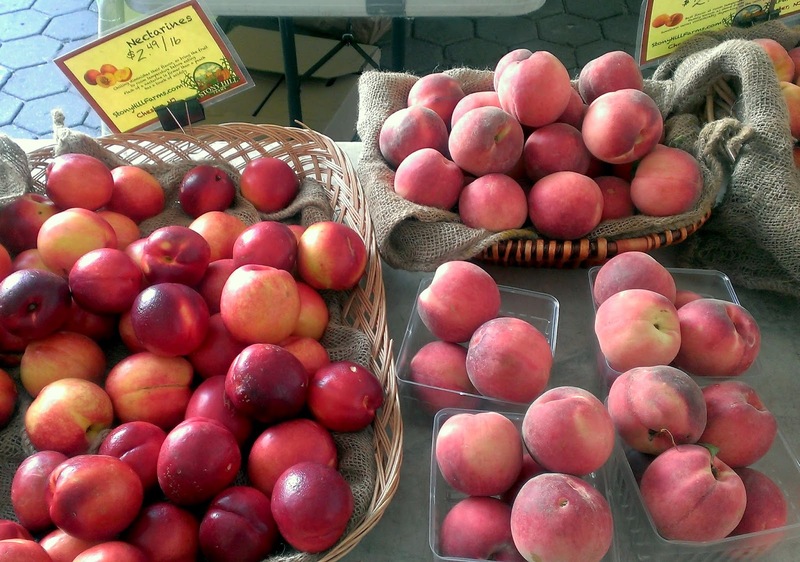 The market starts at 11am and runs until 5pm on Sunday behind City Hall at Montgomery and Marin. Congratulations to Milk Sugar Love on celebrating their Grand Opening! The store is celebrating its grand opening today, beginning at 3pm and running until 7pm with free mini-cones and lots of cold brew from Stumptown. 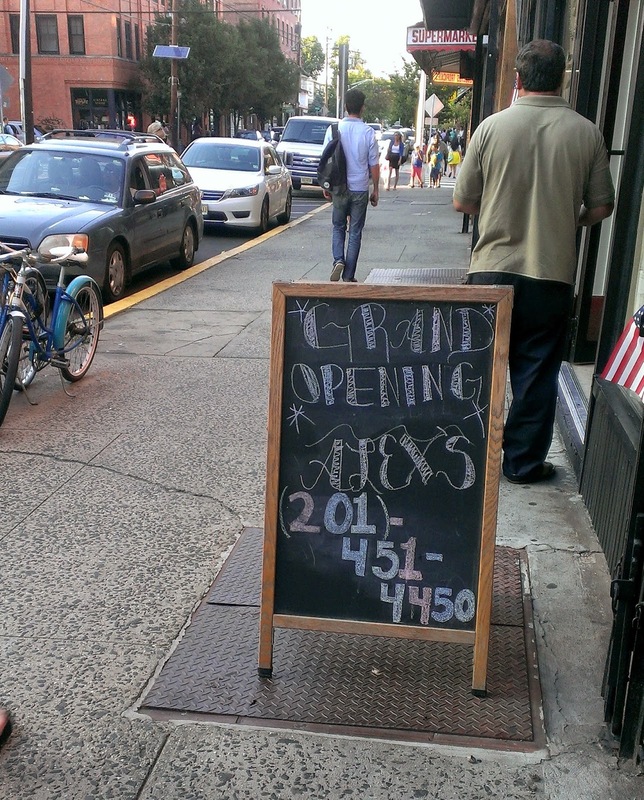 Milk Sugar Love has been serving the Jersey City community for over a year (lucky us!) and it boggles my mind that there might still be people out there who haven't tried it. Please don't wait any longer. If you haven't already checked it out, this piece from food.curated on the bread and butter at Razza is a must-see. The Jersey City Homebrew Club is now selling tickets for their Summer Walking Tour. There are four stops throughout Hoboken and Jersey City. No Sugar Added Peanut Butter and Cherry Amaretto are back at Downtown Yogurt for July and they're also offering cranberry granola and fresh watermelon as new toppings. Labels: downtown yogurt, events, farmers market, news, Razza, sam a.m.
World Cup Fever is still going strong and Jersey Girls Food Tours is collaborating with Iron Monkey to make sure you get the most out of it! Join them for their Finals Viewing Party on Sunday, July 13th beginning at 1pm where a $10 ticket will grant you access to watching the finals on a 72" projector, drink specials, and an international buffet with dessert provided by Cholita Dessert Bar. JuiceWell is having a July Special, offering 20% off any 3 or 5 day cleanse but you have to purchase by July 14th! This Friday marks the start of the three day St. Anthony's Festival on 6th Street between Monmouth and Brunswick streets. There will live music, lots of food (italian, polish, filipino, and spanish), games, rides and more! It goes from 5pm-11pm Friday and Saturday and from noon-10pm on Sunday. See Spot Rescued and Hound About Town are hosting an adoption event in Hamilton Park this Saturday from 12pm-4pm and GP's will be hosting their first Saturday Brunch in support, along with puppy fro-yo from Milk Sugar Love and a wine tasting with Madame Claude from 3pm-4pm. This Saturday is also Lucky 7's Rock N Roll BBQ! Beginning at 1 and running until close, there's a huge line-up of live bands, tons of beer and drinks, and plenty of BBQ all outside on Second Street between Coles St. and Jersey Ave.
Have a great weekend, Jersey City! One of the new vendors this year at the HDSID Farmers' Market at Grove Street is Grandma Downtown, owned and operated by Krista Zevoteck. Inspired by her Sicilian grandmother who lived in downtown Jersey City, Grandma Downtown is a fledgling Italian-American bakery that focuses on stuffed breads and rolls. There are usually large loaves, mini-loaves, a variety of stuffed rolls, breadcups, and grissini (herbed breadsticks) available. When I visited, I got an onion roll and what I imagine is now probably one of their biggest sellers, the double-smoked bacon with smoked mozzarella roll. Made with thick-cut Schaller Weber bacon and fresh smoked mozzarella, the roll bakes up to be slightly chewy with a nice crust on the top. The bread is fairly dense but light and baked completely through without any soggy or overly doughy parts still left. The bacon and mozzarella impart a meaty, smoky flavor into the bread so each bite is is a bit salty, a bit smoky, and even a little sweet and creamy. The cheese melts to gooey indulgence but doesn't become overwhelming. While a couple of bites were on the salty side and I did wish the bacon had been cooked down a bit more, for the most part, this was a delicious and hearty roll. After the bacon and mozzarella roll, I was worried the onion roll might pale a bit in comparison, but quite the opposite. It had a very different flavor although the roll itself seemed to be the same dough. The onions were cooked to a melt-in-your mouth tender sweetness with savory herbs liberally used throughout the roll that almost made me nostalgic for Thanksgiving stuffing. It was homey, familiar tasting and incredibly flavorful even it its simplicity. This is one of several vegetarian rolls that Grandma Downtown typically has available. Every week seems to bring new and tempting flavor combinations including some sweet options like banana walnut nutella and I can't wait to keep trying more and more. If you can't make it to the market, Grandma Downtown also has an Etsy shop where you can purchase these delicious home-baked goods. If you've been wanting to try Sam a.m.'s supper club, but have found the cost and/or amount of courses a little much for you, then this Thursday is your chance to enjoy! Congratulations to Thirty Acres for being included on Eater's 38 Essential New York restaurants! The Liberty Science Center is having a Rubik's Cube Cake-Off! The deadline to enter is tomorrow 7/7. The Dark Side of the Moo got written up in The Jersey Journal for their wide variety of exotic meats and was reported on by CNBC. The NY Times went on an ice cream tasting expedition which included Kwality Ice Cream near Journal Square. 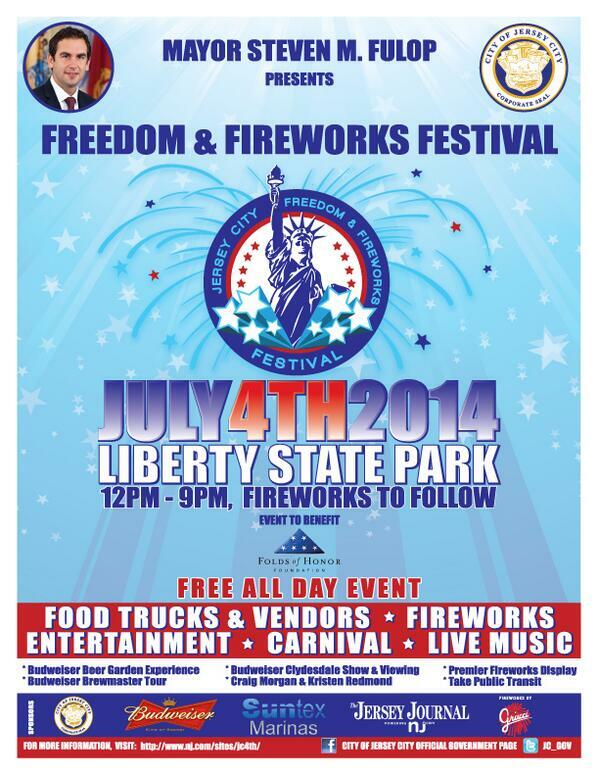 First off, the main event this weekend is the 4th of July "Freedom & Fireworks Festival" on Friday in Liberty State Park. With live music, lots of food, and fireworks, this is shaping up to be the event of the year! There will be a whole section of food trucks and stands, both local and visiting, including Milk Sugar Love, Nuchas Empanadas, Jack's Sliders and Sushi, Toum NYC, The Hamilton Inn and many more. Take a look at the map and schedule, courtesy of Jersey City Project. There will also be a party being hosted by Councilwoman Candice Osbourne at Peninsula Park that will have a great view of the fireworks, music, local food vendors like Mordi's and Carmella and kid-friendly activities! But if you want to get started early, Barcade is having a 3rd of July Party on Thursday beginning at 12 pm with a special menu, free hot dogs, and a great tap list. Want more beer? Thirsty Quaker, besides being able to stock you for all your holiday drinking needs, is having a Smuttynose tasting from 6pm-8pm tonight.